Veterans who qualify for aid and attendance benefits and receive an initial letter denying their application are sometimes advised not to file an appeal as their first course of action following the denial. This advice is usually in contrast to the directions or instructions noted on the denial notice letter. In many cases, the advice not to file an appeal when your application for aid and attendance is denied is good advice. Appealing a denial of aid and attendance benefits can last years as a veteran awaits much needed financial relief. This is usually why most people are advised to simply supplement their original application by providing additional information. The appeals process can sometimes be incredibly lengthy, but even the application supplementing approach is not guaranteed to make sure that you receive your benefit in a reasonable amount of time. 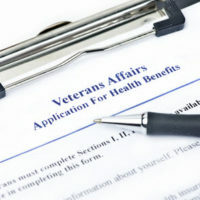 This is especially true if the denial is based on a misunderstanding of which benefit the veteran was applying for in the first place; for example, if a veteran sought aid and attendance benefits and the application was incorrectly processed as seeking another benefit for which he did not qualify. The denial letter a veteran receives after an application can give some details on why the application was denied. A veteran can also file a petition for rehearing, which is not a full substantive appeal, and can take a shorter time to resolve the issue. If your denial is based on an issue that was present at the time of your application, but has since been resolved, this can be a better approach. To avoid a denial and the need to appeal or supplement an original application, it is best to start off with a strong application. Before applying, make sure that you go over the eligibility criteria and ensure that you meet the qualifications. In addition, prepare all paperwork and medical evidence that may be necessary to support your claim, and send in a complete package right from the start. Do not send original documents as part of your application and make sure you keep a full set of copies of any documentation you submit with your application. Even a complete application may still take time to be processed. However, once approved, the benefits are applied retroactively to the date of application, which means the applicant still receives a benefit amount for the months spent waiting for an approval. If you have received a letter denying your application for aid and attendance benefits, you should consult our experienced attorneys on how to proceed. While appeals are discouraged by some, it may be the right move in some situations, and a consultation with an attorney with experience handling aid and attendance claims can help you make a better decision on how to go forward. For more information, contact an attorney at the Millhorn Elder Law Planning Group located in The Villages, Florida today.